Acres Of Food Production In Ontario | Chatham-Kent Agriculture Development | We Grow For the World! There is ongoing debate about the importance of protecting farmland in Ontario. 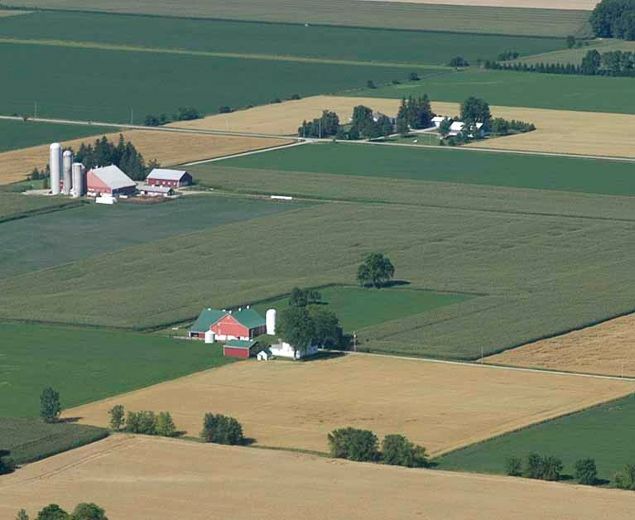 A recent article from the Fraser Institute entitled “Only markets can determine best use for Ontario cropland” raises the question of who should determine the use of farmland. The authors of this article, Glenn Fox, Yi Wang and Kenneth P. Green, studied whether there was an increase or decrease of land in Ontario which is used in agriculture. I would expect that today’s farmers consider farmland to include cropland, land for buildings and all pasture but not woodlots or wetlands. All pasture is important to farmers and is also important to the ecosystems that support farming and crop production. The study referred to by the authors suggests that between 1951 and 2013 the amount of cropland increased slightly in Ontario, about 100,000 hectares. This will cause a lot of discussion in the farming community. Most are of the opinion that we are losing cropland annually. The report does indicate that during the period studied the hectares of farmland (according to their definition) decreased by 3.3 million hectares. According to this article we have gained hectares of cropland for food production which is a positive, but does this mean that we can allow land to be taken out of food production? We all know that land taken out of food production does not return to that use. I was made aware of this when I toured the city of Detroit which has acres of land where houses once stood but is having difficulty in returning it to agriculture. The remaining infrastructure is costly and cumbersome to remove. It is the key argument of the article that concerns me. The authors argue that the land should go to the highest bidder who then should be able to use it for whatever the buyer deems best. This asks the question, do we need stronger legislation in Ontario to ensure that food producing land stays solely for that purpose? Southwestern Ontario has some of the world’s best land for food production and we need to retain it for that purpose. Agriculture is a mainstay industry in Ontario and creates many job opportunities in the food industry as well. Development seems most intense in southern Ontario and therefore there is a strong need for government legislation to protect farmland in Ontario. The concern for providing food for the global population, which is on a steady rise, is real, and we need to be adamant that our best food producing land remain in that use. As this 2013 article from the Guelph Mercury points out, many argue that we are losing acres of farmland each day, but it is also true that more land is being cleared and is being farmed. Perhaps we should not debate the number of acres lost versus gained, but what the difference is in production potential. As the population increases so will the need for increased food production. Governments need to look at the big picture and the long-term to ensure that our top farmland and cropland is not taken out of production. Ontario and Canada need to have well thought-out plans for land use. We all need food for our survival. The CFFO has consistently encouraged the government to protect farmland. At the same time we recognize the need for development, transportation corridors and the need for aggregates. There is a good balance that we can achieve, what we need is co-operative minds to make long-term planning good for all. That’s what the CFFO works on achieving for its members.